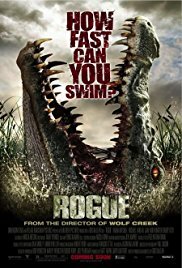 A group of tourists on a river boat cruise responds to a distress call but instead find themselves trapped on the territory of a giant man-eating crocodile. 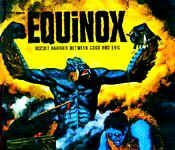 I usually found creature movie quite lame, and this one only closely escape to the usual fate. The plot is the basic creature boring plot, namely a “disparate bunch of characters getting trapped somewhere with a human-eater monster lurking around”. However, this movie features a few great ideas (e.g. the tide rising up, the use of the dog, etc) which make it quite amusing to watch. The acting is decent, the actions scenes are good, but there is nothing more to it than lazy entertainment. Better than the average creature movie crap…but still for creature fans only.